The majority of auto injuries are not severe and, if there is no clear indication of a bone fracture or other type of serious wound, a visit to the hospital might not even be necessary. However, automobile accident injuries can often cause pain and soreness. Whiplash is the most common type of injury resulting from an auto collision, characterized by a sudden back-and-forth jolt of the head in any direction, where the force of the motion strains the surrounding muscles and tissues of the cervical spine. The symptoms associated with this type of injury may usually not develop instantly but can take up to 24 hours to appear. 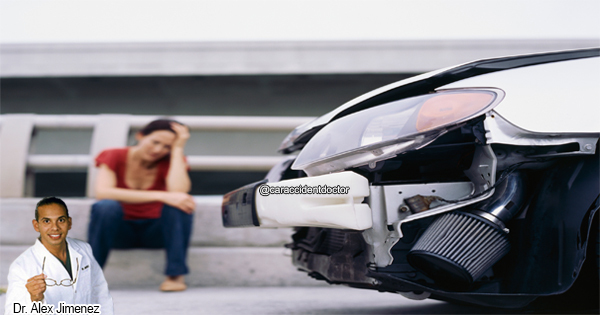 Before the pain and discomfort of an automobile injury occur, a person should first pursue care for their injuries. Before seeking medical care, an individual experiencing symptoms of an injury or condition from an automobile accident can begin by applying ice therapy on any painful and sore areas. Most frequently, after the body suffers trauma from an injury, the muscles and other tissues surrounding the affected area can become irritated, inflamed, and sometimes bruised, causing pain and discomfort. Ice therapy works to reduce the inflammation of tissue, primarily serving as a pain reliever and soothing the areas of injury. Ice therapy is not an actual treatment and therefore, further diagnosis and treatment for your automobile accident injuries should be pursued. Finding immediate medical attention after an auto collision is essential, especially after experiencing any painful symptom. If you didn’t experience any broken bones but your back or neck are hurting, sore, stiff, or generally painful, a chiropractic doctor can help relieve the symptoms and treat the injury. A chiropractor can effectively diagnose an injury or underlying condition and begin a treatment plan according to the individual’s level of injury to gradually restore a person’s normal health. A physical therapist may also help recommend a proper set of exercises together with chiropractic treatment to speed up the rehabilitation process. By focusing on chiropractic adjustments and physical therapy, an individual who suffered an injury as a result of an auto accident can achieve recovery without the need of drugs or surgery.